Matt Sergey once pitched for the Laredo Lemurs. That one fact you must keep in mind or nothing else that follows will seem magical. Or creepy. After a disastrous five run 1st Inning in which Ports Tandem Starter Caesy Meisner was victimized by wind, an error and some weird bad luck, the game settled down into a relative pitching duel that saw the Ports go hitless into the 6th and the Modesto Nuts go quietly for five innings before adding one last run in a 6-1 shellacking of Stockton. As so often happens during such a game, a new pitcher was brought in to try and calm things down, which Matt Sergey, who once pitched for the Laredo Lemurs, pretty much did. He went 2.0 innings, gave up a hit and walked one, but otherwise turned what was starting to be Modesto going #United on the Ports into a reasonable baseball game. After a short discussion (on air) by Zack about the proper pronunciation of the word “lemur,” (le-muré, lah-mur, and so on), the discussion moved to the fact that lemurs are pretty much indigenous to Madagascar, not Texas, which is also where San Jacinto is located. Lemurs, as it turns out are named after the Roman lemures, which were the malignant spirits of unburied and very unhappy dead people. They were also used by Mephistopheles to dig the grave for Faust. While singing, no doubt, in a terrifying and very German manner. In ancient Rome, there were actually three “holidays” dedicated to placating the lemures, What you did, if you were an ancient Roman with a lemure problem, was get up in the middle of one of these three nights (May 9th, 11th or 13th) and have your Paterfamilias throw black beans behind himself with his gaze carefully averted. If that didn’t work (the beans were an offer of life to the malignant spirit), then you would bang a couple of pots together until the neighbors called the cops who told you to stop believing in lemures and quit disturbing the neighborhood. Then a lemure would eat one of the cops and soon everybody would be throwing beans and banging pots. Life was great in ancient Rome! Name your team after me or I WILL EAT YOUR SOUL!!!!! Needless to say, when the Shreveport-Bossier Captains of the American Association of Independent Baseball relocated to Laredo, Texas, in 2011, they were looking for a mascot that would strike fear and awe in the hearts of their opponents. They chose the lemur, an animal species that had been named by Carl Linnaeus (seriously, look it up) because of their “slow nocturnal movements” and satanic bug eyes that reminded him of the ancient Roman fear of such creatures. In other words, the Laredo Lemurs are represented by a cute, furry, slow moving, nocturnal mammal that is named for terrifying, zombie-like malignant spirits who are eternally unhappy and hungry. After the game today, I will never, ever look at the lemurs at the Pt. Defiance Zoo the same way. I will also bring black beans and a pot with me when I go. The other thing I finally learned today was the difference between a Slider and a Cutter. Yeah, I know, I’m behind the times. But just in case you don’t know either, both are essentially fastballs. The Slider moves down, while the Cutter moves horizontally. It also, as it turns out, is an easier pitch to teach and has been the salvation of several pitching staffs and pitchers over the past decade or so. And while there are no doubt imitators and copy-cats, the one man truly responsible for the Cutter Revolution or Evolution is Gil Patterson. Gil, as he introduced himself to me in the press box, was once the hottest young pitching phenom in baseball. 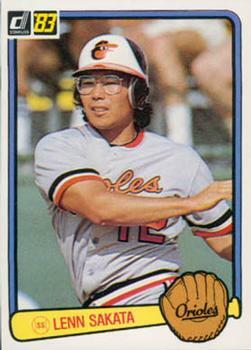 In early 1977 he was set to take the American League by storm. Boston’s Carl Yastrzemski called him the best young pitcher he’d ever seen. But the Baseball Gods, which might be lemures after all, saw things differently and the Yankees prospect blew his shoulder to shreds just ten short, glorious games into the 1977 Championship Season. His comeback was nothing short of remarkable, including learning to pitch left-handed, but ultimately he was not able to get back to the Majors. If it ended there, it would have been sad. What I love so much about Baseball is that it is such a metaphor for life. Gil Patterson started teaching. He became a Minor League Coach and used his own experience to protect young pitchers from overuse. Along the way, he started teaching the Cutter. And today, he was in Stockton watching over the pitchers as the Athletics Pitching Coordinator. And in just one minute listening to him talk to Zack, I learned more about managing a baseball game that I had watched with my own eye than I possibly imagined. What I thought was a Pitcher getting pounded in the first inning was less a episode of bad pitching and more about positioning. There were positives here, and to an eye like Gil Patterson, those things were clear. I am also sure that he saw the problems, and he works with pitchers throughout the A’s Minor League System to fix those. Gil Patterson can and does. And that is how you really chase away the lemures. Most of ya’ll have heard by now that the Colorado Rockies, the Parent club of the Modesto Nuts, fired Manager Lynn Sakata on Sunday. The reason for the firing appears to be a difference of opinion as to the course the team wanted to take for their younger players. As a manager in the California League it was obvious that he liked to win, and win he did. In fact, as a Manager, nobody won more. That’s why it had to be so frustrating for him to have a team that was controlled by a system that seemed hell bent on not winning. If, and that’s a big “if,” the system the Rockies have in place was designed to produce a certain type of player that led to the Rockies winning Divisions and Pennants if not World Series, it might make sense to fire him for not going along with it, but let’s face the simple fact, the Rockies have been (with the exception of one fluke year) are, and will be for the foreseeable future a doormat. They have no real plan for anything and a ballpark guaranteed to make sure that they accomplish exactly that. Given that, maybe teaching their players at the High A level (Modesto Nuts) how to win could have been considered the purest form of “player development,” but the Rockies don’t see it that way.